Chicago garage soul band The Congregation got its music out to more people this summer by opening for the likes of Wilco, The Flaming Lips and Garbage. Now, The Congregation is likely to keep those people in their seats through the release of their first full-length album, "Right Now Everything." The CD kicks off in celebratory fashion with the rollicking title track, where lead singer Gina Bloom gives listener a taste of her explosive and expressive vocals. "Right Now Everything" showcases the band's myriad of influences, with enough soul and rock to keep all music fans happy. The Congregation will celebrate the release of the new album by performing Sept. 28 at Martyrs', 3855 N. Lincoln Ave., Chicago. Chicago bands The Shams Band and The Sometimes Family also are part of the bill, with DJ sets by DJRC. The show starts at 9 p.m., and tickets are $12, available at www.martyrslive.com. Chicago band Hemmingbirds is not afraid to take musical chances. The band charts a new musical direction on its new album, "The Vines of Age," set to release on Sept. 25. To celebrate the new release, Hemmingbirds will perform Sept. 21 at the Beat Kitchen, 2100 W. Belmont Av., Chicago. Milano, Northpilot and Glittermouse also are on the bill. The show starts at 8:30 p.m and tickets are $8, available at www.ticketweb.com. I had the chance to talk to Hemmingbirds' Yoo Soo Kim about the new album. Q - You started Hemmingbirds as a solo project. When did you discover that you wanted to make it into a band effort? I think I always had the project in mind to become a band when [it] first started. “Death Wave” was arranged for a band so it seemed like that was the only option. I’m most comfortable in a full band setting, so I wouldn’t have wanted the record to sound like one person anyway. Q - "The Vines of Age" is heavier and more soulful than the group's last release, "Death Wave." Do you think that is a result of this album being more of a band effort? Matt, Tim and Zach listen to a good amount of heavy music, so I think they had a very strong influence in that. I also believe that it’s easier to get heavier when you’re writing songs in a full live band. Feedback and rocking out carry a better energy when played live than when recorded track-by-track by yourself. The soulfulness was a conscious decision by us to move toward a different direction. The folk influence from “Death Wave” was sort of residual from the last band I was in and by the time we started to write for “The Vines of Age,” I was interested in trying something new. Q - Do you think fans who liked your last album will be taken by surprise by the band's new musical direction? I’ve sent this new album to my friends and close fans to listen to and prefaced each email wearily with “it’s a lot heavier, noisier, and different.” I’m a little afraid of what people will think of our transitioning sound, and I do think there will be an element of surprise to the record when they hear it. Hopefully it’s a pleasant surprise. Q - "Death Wave" reached #109 on CMJ's Top 200 national charts. Did that surprise you and what are your aspirations for your new album? We were all very surprised by that we charted well on CMJ. It was our first college radio campaign and we had no idea what to expect. It gave us confidence that we actually have songs that people enjoy hearing. For the new record, we’d like to top everything we did with “Death Wave.” We really tried to be as ambitious as possible with this record, and hopefully it all pays off. But it’s really hard to say from the perspective of a musician what people will like, so I guess we’ll see! Q - You've also been called a local band to watch. How do you think you fit into the Chicago music scene? How do you think the Chicago music scene compares to other parts of the country? Chicago is a large city with a very diverse scene, and I think we have our place in it with bands that have similar sounds and aspirations to us. The only other music scene I was actively a part of was Champaign-Urbana’s, which is much smaller than Chicago’s, so it’s hard for me to give an accurate judgment on how we compare to elsewhere. I think Chicago has great bands, great venues, and arguably the greatest lineup of summer festivals, so we can hold our footing pretty well against other major cities. Q - There are plenty of resources available to musicians these days to get their music out there. How is your band taking advantage of those resources and what are the challenges you face being an indie act? It’s incredibly amazing how easy it is to be a musician who can release material worldwide for anyone to hear. I think there are a number of bands that have achieved success from the advent of Facebook, Bandcamp, Soundcloud, etc and the ease that those sites provide. At the same time, there’s so much music now that it’s harder to stand out as a band among the thousands of other artists trying to do the same thing you’re doing. You’re no longer just the band that put in the investment to pay for a record, because the cost of that can be so low now. James Murphy of LCD Soundsystem was asked a similar question and he responded about how he hated it because there’s too much music out there and a lot of it isn’t good. I wouldn’t go as negatively as he did about it, but there are definitely pros and cons to these numerous resources. Still, we’re trying to stay ahead of the curve on all the new sites and such where you can release music. We joined Frostwire and NoiseTrade and and got great responses from that. I think in the end, though, that while the challenge of becoming a successful band is now very different, success still boils down to whether you have great songs or not. I’ll hear about bands that will be at it for years without garnering much recognition, and then I’ll hear about a band like Passion Pit where the front man made an EP for his girlfriend, and then the tracks went viral. In the short term, we’d like to promote this album as much as possible to have it be as successful as it can. Ultimately, we’d like to be in a place where we can play music and have it support us financially. Don't be surprised if you stroll into Highland Park's newest tea shop one day and see Smashing Pumpkins frontman Billy Corgan behind the counter. Corgan on Thursday opened Madame ZuZu’s teashop at 582 Roger Williams Ave., Highland Park. Drawing from Corgan’s love of music from the 30’s, Madame ZuZu’s is a Chinoise inspired teahouse found in Paris during this period. More information is available by going to www.madamezuzus.com. Singer-songwriter Claudia Schmidt is just as comfortable performing jazz and blues as she is performing folk music. She shows off her versatility on the album "Bend in the River: Collected Songs," which features 16 songs from her five albums on Red House Records. The Michigan-born singer, guitarist and dulcimer player will perform at 8 p.m. Sept. 14 at Lakeview Center in Gillson Park, 800 Gillson Park Drive, Wilmette. Tickets are $20, available by calling (312) 342-2345 , or at.www.wilmettepark.org/lakefront/lakeview-center. I had the chance to talk to Schmidt about her current activities and her musical inspirations. Great to talk to you. Regarding your album "Bend in the River," how did you select the songs for the album? Do you think it is a good retrospective of your career, or at least your career on the Red House label? Yes, Red House and I came up with a perfect selection (as perfect as it gets) of my recordings with them. Even though they are are chronological, it feels timely and current. What made you want to become a singer? Who are your biggest musical inspirations? I always sang...I didn't wonder 'would I become a singer". ..it just WAS and I wandered into Chicago smack in the middle of it. ..so that was serendipity! No particular influences, I keep my ears open and am a musical sponge. .what comes in finds its way back out eventually. You left the music business for a time to open a bed and breakfast with your husband. What made you want to come back to the business? While running the B&B and restaurant, I was still writing and performing so no momentum was lost there, though some was lost out on the circuit, when I couldn't travel as much. Do you have any unfinished goals or dream projects? Life is continually unfolding and I have never been a real goal-oriented person, so stay tuned! 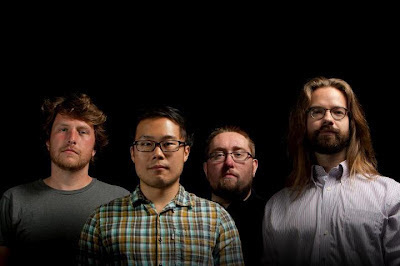 Fans of Chicago area band Smoking Popes will have plenty to cheer about next month. 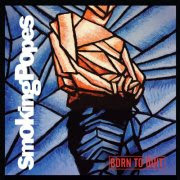 Not only will the band reissue its landmark album, "Born To Quit," on Oct. 23, but will also perform the entire album on Oct. 20 at the Double Door, 1572 N. Milwaukee Ave., Chicago. The show starts at 8 p.m. and tickets are $15, available at www.doubledoor.com. The remastered album comes with a deluxe repackaging featuring new artwork, a memorabilia collage, new liner notes from Matt Skiba (Alkaline Trio), Joe Shanahan (Chicago’s Metro) and comedian Kyle Kinane, as well as a track-by-track analysis by Popes’ frontman Josh Caterer and two bonus tracks - the Willie Nelson cover “Angel Flying Too Close To The Ground,” and the previously unreleased duet “Blanket In The Park”. There will be limited edition red and blue vinyl in addition to a CD. Red vinyl will be for sale at www.SideOneDummy.com while blue vinyl will be available on tour. After an eight-year absence, Prince will return to Chicago beginning Sept. 24 at the United Center in support of the Rebuild the Dream initiative. 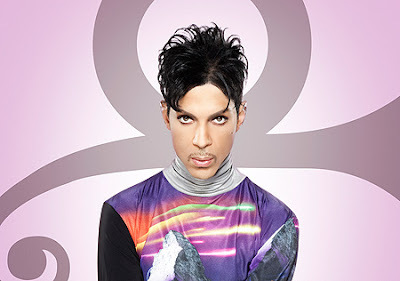 Prince's "Welcome 2 Chicago" residency follows similar stints in New York City and Los Angeles. Tickets go on sale at 10 a.m. Sept. 6 at www.LiveNation.com. On site at the United Center, Prince and Rebuild the Dream will offer opportunities to learn about, support, and take part in rebuilding vibrant and sustainable communities. Socially conscious businesses, tech start-ups, entrepreneurs, and other innovators will offer specific tools that individuals and communities can use to improve their economic situation in the short- as well as long-term. "We couldn't be more excited about partnering with a legend like Prince," said Van Jones, co-founder and president of Rebuild the Dream. "Our economic system is broken. Rebuild the Dream exists to unite arts and organize into a potent force to support the Dreams of Our Communities. There are few artists who have Prince’s unwavering commitment to a vision of a sustainable, fair economic future." Additional information about the Rebuild The Dream initiative is available www.RebuildTheDream.com. The upcoming Chicago dates will mark Prince's first return to the area since 2004.